THOUSANDS OF PACKS ALL GROWN ON SITE! In particular, look out for our INCREDIBLE VALUE patio 4-packs – just 77.5p per plant! 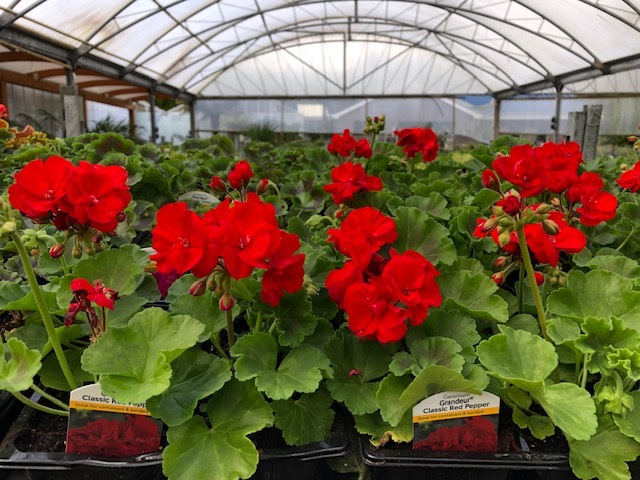 Like many other garden centres, for a number of years we were reliant on external suppliers to help meet the demand of seasonal bedding plants and patio plants in the spring. We would buy in trollies of bedding packs from trusted wholesale nurseries, but began to find they simply couldn’t keep up with the increasing demand of our customers. To avoid letting any customers down with un-stocked trollies, a few years ago Trevena Cross owner Graham decided to bring the growth of all bedding and patio plants entirely in-house, and invest in a large transplanter machine, a compost mixer, and training of a dedicated nursery team that could plant out the many thousands of bedding packs we see go home with our customers each spring. 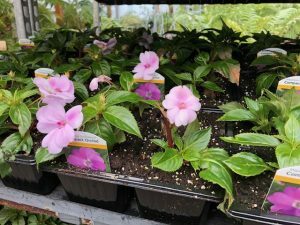 Growing on a wholesale scale but for a retail purpose, means we can keep the costs to retail customers down, and offer unbeatable value for money, while still offering an incredibly wide range of quality choices – including the newest varieties available in the plant world! Particularly appealing is the huge range of patio 4-packs we stock. 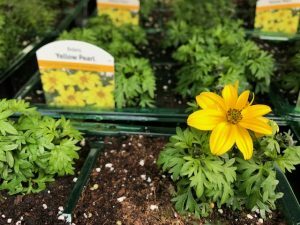 From Geraniums to Begonia semperflorums, Verbenas to Impatiens, Argyranthemums to Bidens, Petunias to Marigolds, there is a plant and colour to suit every pot, trough, basket, bed and border, in EVERY garden! The best thing about it is that these patio plants can offer colour for such a long period of time too. From spring continuously right through to Christmas or beyond, if the winter temperatures are kind. 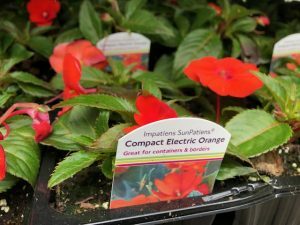 When you consider that your average shrub or perennial may only give you 6-8 weeks of colour each year, patio plants really are a great investment! 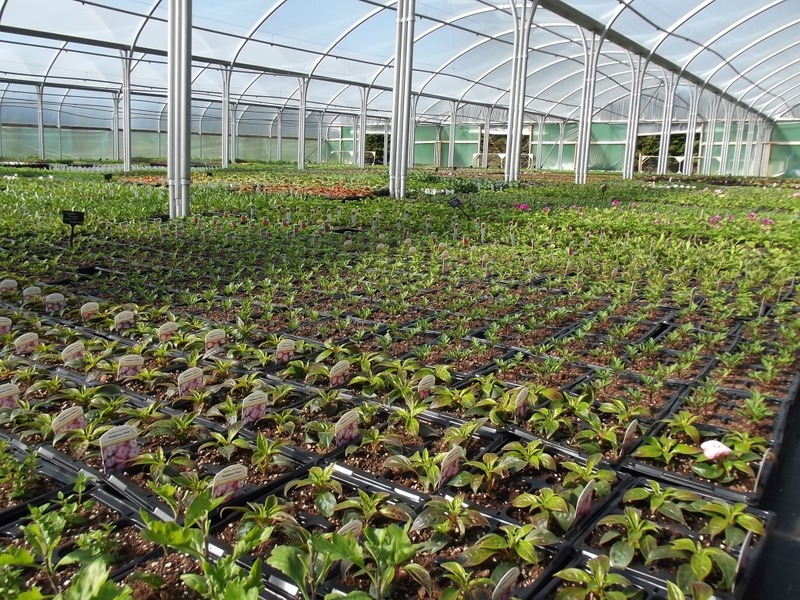 Why choose Trevena Cross Bedding Plants over alternatives? For colour – particularly with our patio 4-packs – that will last until Christmas… or beyond in a mild winter. In another league from cheap DIY store/supermarket bedding, which is usually grown from seed abroad and is very unlikely to have the same longevity or offer the same value for money.